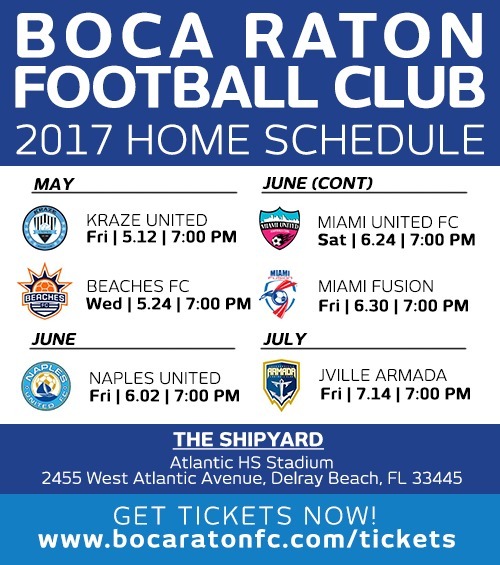 Boca Raton FC announced Thursday it will play its 2017 NPSL home matches at Atlantic High School in Delray Beach. the state-of-the-art campus opened in 2005 and features a modern stadium with a 5,000 person capacity. The facility features a natural grass surface pitch that is regulation size. The club begins its inaugural NPSL Sunshine Conference on April 30 with a game against Miami United at Milander Stadium in Hialeah. The home slate begins May 12 at Atlantic High School against Craze United. The APSL season continues for Boca Raton FC next Sunday with a match at Amelia Earhart Park against Miami United. Boca Raton FC home games in APSL will continue to be held at Cypress Park in Coral Springs. The club will play six NPSL home games at Atlantic High. “We are excited that our club will enter NPSL playing a state-of-the-art, modern stadium close to our fan base at Atlantic High in Delray Beach,” said Boca Raton FC President Douglas Heizer. The full BRFC NPSL schedule can be found here. 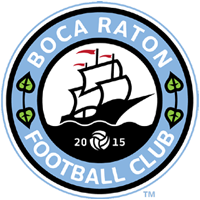 Boca Raton FC began play in 2015 and is competing in Gold Coast League, NPSL, APSL and the Lamar Hunt US Open Cup during 2017. Season passes are available staring at $65.